A tune for warm summer nights. Kranium has been releasing a steady stream of warm and energetic summertime tunes. 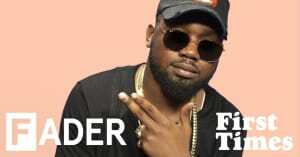 After sharing the romantic "No Odda" via FADER, the dancehall hitmaker has released the video for one of his latest singles "Last Night." The clip sees Kranium and a woman strolling around the city in the warm nighttime summer air. Recently, Kranium was announced as part of Red Bull's upcoming annual Culture Clash event in Atlanta. His team the Frequent Flyers will go up against Zaytoven, Fuego, and Mija with Kenny Beats.